Hey there! Thanks for dropping by malikaziz.com! Take a look around and grab the RSS feed to stay updated. See you around! Like I do every year, I’m using the WWE Network to go through ‘the History of the WWE’ to get ready for WrestleMania. Watched III and IV this weekend, which established my guy Macho Man Randy Savage as one of the best ever (disrespect meant, all you Pukeamaniacs). Anyway, his theme was obviously a standard used every year for graduations. Did a quick search to see if I could find a really epic version of it. To the current generation of wrestling fans, he’s the ‘advocate’ for the current WWE World Heavyweight Champion, Brock Lesnar. To my generation, he’s the mind behind Extreme Championship Wrestling. And those who came along before me probably got their first taste of him as Paul E. Dangerously, the loudmouth manager whose first great rivalry was with Jim Cornette. WWE’s newest documentary, ‘Ladies and Gentlemen, My Name is Paul Heyman’ looks at (by any account) one of the best wrestling careers of the past 30 years. Told mostly in his own words, Heyman’s real life story is incredibly interesting. 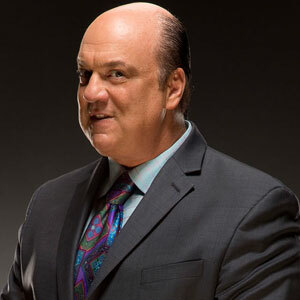 The son of a Holocaust survivor and a New York lawyer, Heyman like most of us caught the wrestling bug early through that glorious thing we call television. A hustler from nearly the beginning, he started a fan zine in his teenage years and was snapping pictures at events in Madison Square Garden before he was old enough to drink. With equal parts undeniable ambition and knowing what lie to tell when, the doc does a great job of charting Paul E’s rise through the ranks. Interviews with everyone from Dusty Rhodes and Tommy Dreamer to Jim Ross and Brock Lesnar fill in the story of what we know and saw onscreen to stories that have been mostly kept out of the spotlight. And of course, what’s most interesting in this case, is another really interesting professional chapter is being written as we speak. I’m still partial to Bobby ‘the Brain’ Heenan as the greatest pro wrestling manager of all time, but when Heyman is completely finished…who knows? Available to rent on iTunes (how I watched it) for those who don’t want to buy the discs. Whoever needs this on a Wednesday.